The pamphlet is ina pocket made from fiber it can pulled out. We found out about this place from cashier at a rest stop. We were very delighted with the result of her suggestion. 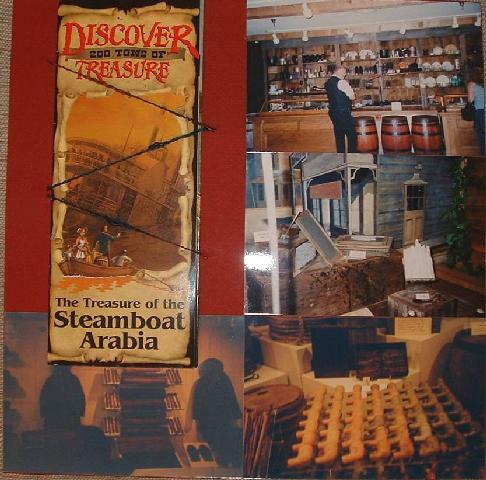 The Steamship Arabia was was going up the Missouri river in the 1800's taking item to the general stores out west. It was found a few years back ina corn field in Kansas (due to the shifting of the rivers flow). We were in awe of all the items that have been preserved from the steam ship. such as the paddle Wheel, slates, pipes, clothing, food items and much more.